TerraMark uses the RIEGL family of LiDAR sensors which provide high speed, non-contact data acquisition. The high-accuracy, time-of-flight, narrow focus infrared laser beam provides multiple target returns and superior measurement capabilities. LiDAR technologies help increase delivery, accuracy and detailed survey data for topography, as-built construction, building information modeling (BIM), GIS mapping, land surveying, volume calculations, asset / facilities management, public works and public safety / forensic applications. Once Terramark has completed a LiDAR mapping for a client, a 3D point cloud will be processed and registered to survey control which places the data in the correct geospatial location. After the point cloud has been created, Terramark can either provide that to the client or proceed with extracting 3D features into a true vector file format. This data may then be imported into numerous Computer Aided Drafting and Design (CADD) platforms. 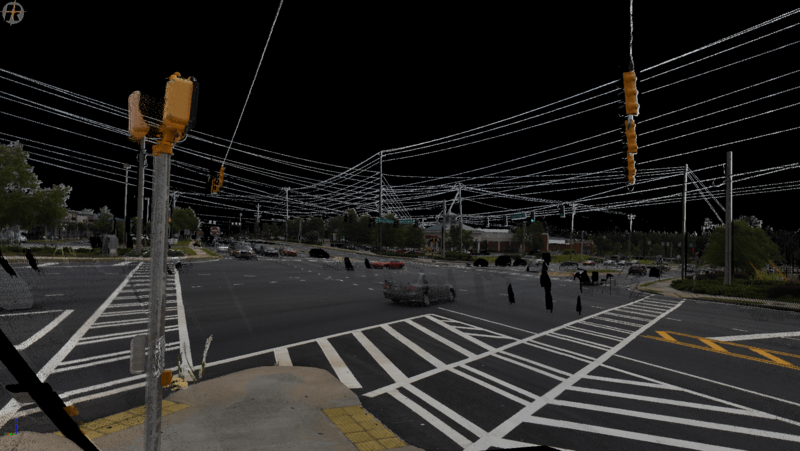 The point cloud may also be used to create a Digital Terrain Model (DTM) representing the “bare earth” surface of the subject area.